Welcome to Lucid Tattooing + Design in Sylvan Lake, AB, while still remaining true to the roots of a traditional shop. We're a blend of old school values combined with modern day safety standards. 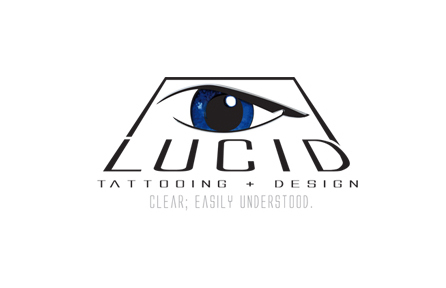 Here at Lucid, our mission is to provide you with quality and original tattoo art combined with advanced sterilization techniques, produced in a comfortable and safe environment by professionals. Now approaching our fourth year of being open. Our tattoo studio is a sanctuary of creative self-expression and we hold a zero-attitude-policy. Each client is treated as an individual with integrity and respect. We hold high standards, guaranteeing a safe tattoo environment. We use proper sterilization methods/practices, utilizing every available precaution to ensure that all of our clients and staff are safe. We also use only the highest quality products and equipment to produce our artwork. Our equipment is tested regularly by an outside lab to ensure everything is performing at its intended level and is opened right in front of you at the time of your appointment. Our needles are one time use only, destroyed in front of you then disposed of in a "Sharp's" container for proper removal. Full barrier control in all rooms ensures that everything we use which you may come into contact with, is properly covered to prevent cross contamination. Each station is fully sanitized after every appointment. I have been tattooing for 10 years, tattooing and the whole subculture always interested me and once ! was offered an apprenticeship, I seized the opportunity and never looked back. I push myself constantly to be a better artist and person by always learning new skills and surrounding myself with good people and positive energy. Along with tattooing, I spent time in Vancouver, where I studied and graduated with honours in Graphic Design at the Art Institute of Vancouver. Tattooing is not a job for me, it's a lifestyle that I embrace and I look forward to growing in as an artist. At 22 I started the art program at Red Deer College. I may have not done well in english but excelled in sculpture and painting. During that time I started in several small galleries, had charity auctions and have been in 2 nuit blanche festivals and 3 art battles. I started my apprenticeship at Lucid Tattooing and Design in April 2014 and I have to say, I love my life these days.